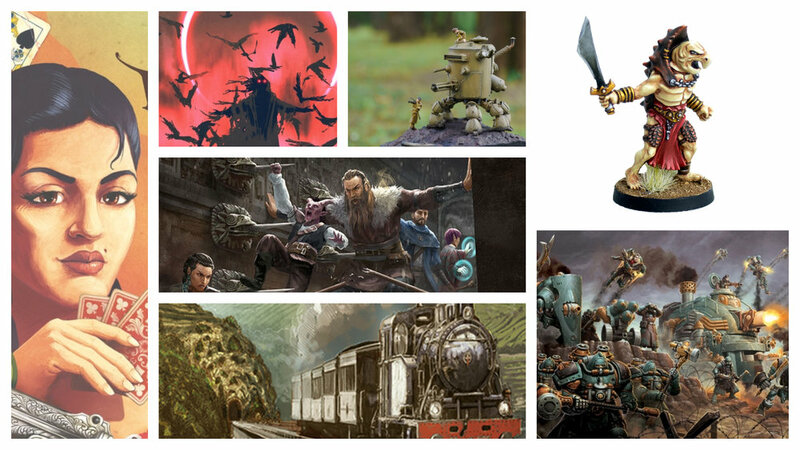 This week, new 5E traps rules from Nord Games, a Railways of the World expansion designed by Vital Lacerda, cool miniatures, and an expansion for Western Legends. This week is our lightest since we started with only 2 board game products (a fantasy worker placement game, and a tile laying farm game). There’s also some expansions for RPGs that did will for Kickstarters in the past (Fantasy Trip and Mapmaker. This week, lots of weird RPGs, a game about selling tea, and new content for BattleStations. This week, some weird RPGs, and only a couple of board games. The lightest week ever! This week, a Tegel Manor remake, Tainted Grail a mega-game from Awaken Realms, more OGRE, and a chicken-based tactical game! 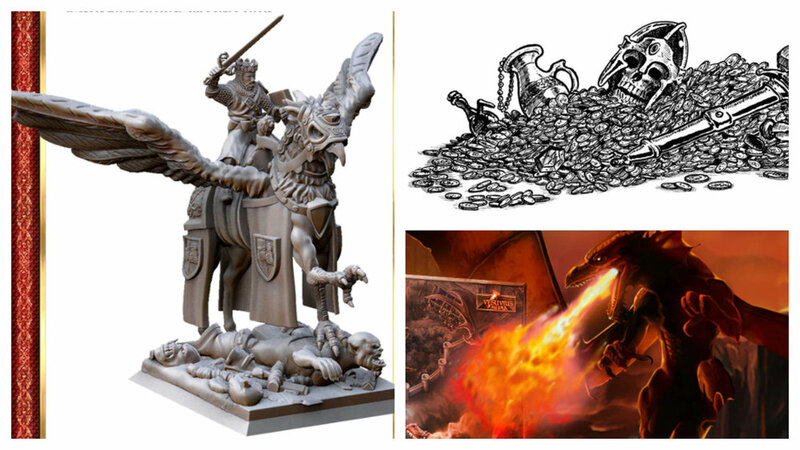 This week, lots of fantasy and sci-fi terrain, modular printable tanks; a new horror board game from the guy who designed Last Friday; blacksmith-forged dice; expansions for Nemo’s War; and a card game of demonic possession. This week, lots of new RPGs: Mutant Year Zero, Crystal Heart, Never Tell Me the Odds, the Wyrd of Stormgard, and After the War. Board games feature Blood Rage Digital, QE, Ragusa, and Whales Destroying the World! Also, Halfling miniatures, an undead Blood Bowl team, and an expansion for a miniatures game called Relicblade. This week WWI horror RPG Never Going Home. Lots of accessories including dungeon and warhammer terrain, dice pencils (again). Lots of weird miniatures. Heavy board games that simulate building a pipeline and building a financial empire in Chicago. Pirates, feminist Guess Who, Awkward Guests, and a lot more!